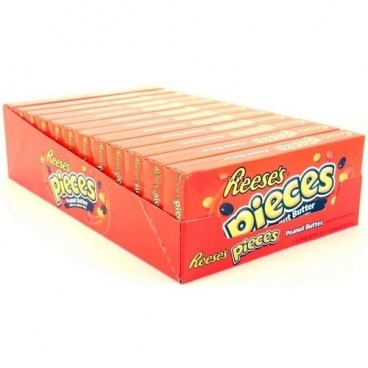 A big Theater 4oz box of Reese's Pieces. These are Peanut Butter Smarties! Instead of chocolate they've got that sweet creamy Reeses peanut butter inside a crispy sugar shell.